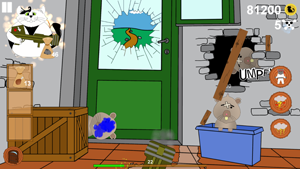 Help CowCat find his friend Ronnie back in this cartoon style shooter adventure for kids of all ages. Unlock new levels, ammo and rage skills in Story mode and see how long you can last in Survival mode. 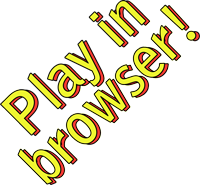 This game is great to play together with your kid(s). The younger ones might need mommy or daddy to read the story for them. 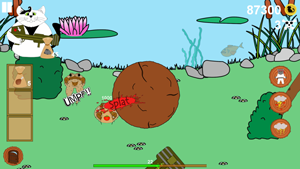 CowCat is completely free to play, no strings attached. 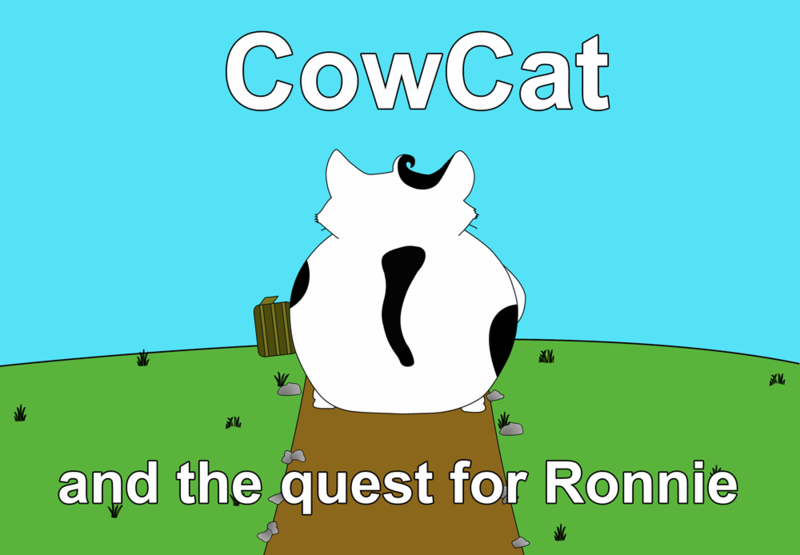 CowCat and the quest for Ronnie is not finished at all. but there's so much more to tell about CowCat's adventure that there's just no end in sight. Keep following and expect a couple of updates per year. Ronnie, it's now time to cross Lake Rana. 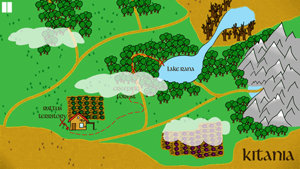 Crossing the lake without any problems would be kind of dull, so there's going to be some combat. 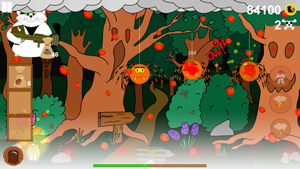 This level will also introduce some new gameplay. CowCat's health will now not be the only thing to keep an eye on. Then we're going in the mountain pass. And there'll be a dragon.